Affordability is only gauged on if you're local, if you're travelling from out of province it gets a 1. The venue is great and the layout is also well organised so buyers/customers/attendees can browse with ease. The staff are the same as Calgary Expo mostly and the same individuals who run it. They are not knowledgable on what to do if something goes wrong and most have no idea where to even find specific locations. For example, asking ten staff/volunteers on where Artist Alley's portion is and not a single one knowing anything is a bit absurd. Individual who runs AA is very sweet but quick to blame others and does not handle confrontation very well. She will get others to confront people and can be quite quick to blame artists for mistakes that end up being her own fault. There was one artist who had their table taken, and right away she blamed the artist saying they did not pay. When they provided proof they paid she then actually investigated and it turned out that her volunteers and herself set up the entire artist alley wrong and gave the wrong table away. After the issue was hers she was quick to resolve it but her attitude could've been handled better. Staff for Vendors were no better and did a lot of the same stuff as artist alley staff. It's an okay convention to attend if you are local, but definitely not worth travelling for. The convention just doesn't bring in extreme buyers and needs improvement on policies and staff..
Over all, the convention really needs to work on their staff/volunteers being up to date on their own policies and able to handle any situation properly with professionalism and respect when it's presented, especially the ones organizing things. I say it's risky for artists for anyone not local but also for anyone who is afraid of their work being stolen or anything being done with thieves or bootleggers. the venue is amazing though and the location is easy to get too. It's also laid out very well and the attendance is decent. 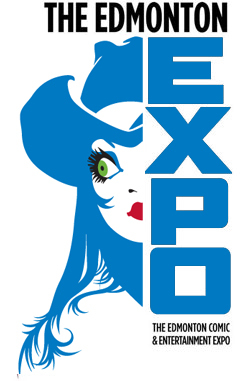 The Edmonton Expo was very well organized in 2015. It had a pretty good guest list and I had great communication with the staff, but for such a large venue the attendance could have been higher. It seemed to have a lot more looky-loos than actual shoppers. I'd say do it if you're local but it's not worth it if you have travel expenses.